PrimeQ will replace the back-office systems for Queensland Investment Corporation (QIC), as the Government owned-investment company changes processes to support US expansion plans. Terms of the partnership will see the specialist Oracle provider roll out solutions across Australia, the US and the UK, deploying a "more advanced" global financial solution to operate across national jurisdictions and in multiple currencies. Based on Oracle's software-as-a-service (SaaS) solution, the offering spans almost every one of the vendor's modules across enterprise resource planning (ERP), enterprise performance management (EPM), analytics and platform-as-a-service (PaaS). “QIC’s position as a global diversified alternatives investment firm with more than $85 billion in funds under management makes us a unique and complex organisation,” QIC chief financial officer Claire Blake said. “Our new technology solution is aligned with QIC’s cloud first strategy and will fulfil our accounting requirements across multiple jurisdictions and currencies while providing additional HR capabilities to support our growing workforce." PrimeQ will also subcontract the implementation of Oracle’s human capital management (HCM) solution and global payroll system to presence of IT (POIT). The provider was selected following a "robust" tender process that looked at a number of systems and implementation partners. “From a system perspective, Oracle was the best match for our requirements," Blake added. "We chose PrimeQ because they demonstrated an affinity with our business model and were the standout for cultural fit. "While many providers underestimate our complexities, PrimeQ took the time to understand QIC and our business. PrimeQ has built a strong client base in financial services and given us confidence they will deliver the best overall solution for QIC." Established in 1991, QIC employs more than 1,000 people including 250 in the US, a market which also houses 12 shopping centres and plans to raise capital for a shopping centre fund. Up to 12 new roles are expected to be created by PrimeQ to support the project, which provides a baseline for further growth in Queensland for the cloud specialists. "Financial institutions around the world are seeking opportunities to become more agile, and technology is the enabler to this," PrimeQ CEO Andrew McAdams added. “Our work with QIC will allow PrimeQ to create 10 to 12 new jobs in our Brisbane office, taking our total workforce to more than 150 across Australia and New Zealand. "Oracle’s unique SaaS solution will allow QIC to transfer risk out of their business and capitalise on the frictionless innovation that SaaS provides." PrimeQ was established in 2015 and employs 100 people across offices in Perth, Adelaide, Melbourne, Sydney, Brisbane, Auckland and Wellington. In early November 2017, the company was awarded a long-term deal with Victorian public transportation firm, Dyson Group. Meanwhile a month later, PrimeQ was also selected to implement a fully integrated end-to-end Oracle Cloud solution to Lionel Samson Sadleirs Group (LSSG). 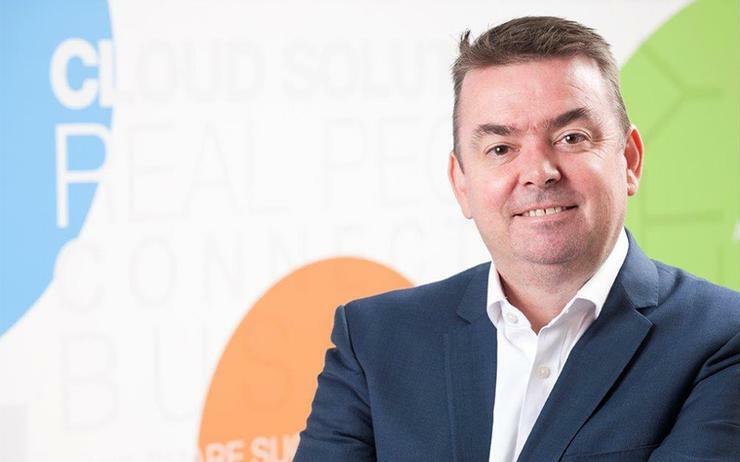 LSSG decided to move to the Oracle Cloud as it prepares to expand its business in Adelaide, Brisbane and Sydney. "We have many disparate legacy systems in the business and historically this has restricted our ability to grow," Sadleirs CEO Ian Kent said at the time. "We are now seeking to streamline and enhance our customer experience and have engaged PrimeQ to provide a ‘best in breed’ Oracle solution."